Asian buyers are more eager than ever before to capitalize on value – and invest their money on luxury real estate in Hawaii for its continuing strength, stability and diversity. This rise in Asian buyers has been evident for a number of years now in major markets of the world, from London to New York to Hawaii. The New York Times, Hawaii Business Journal and Mansion Global have all noted that they have been drawn to improved fundamentals in Hawaii’s high-end real estate market. Real estate located nearby shopping, eating & socialization places. It doesn’t hurt that the Big Island offers a superfluous wealth of diverse, beautiful natural landscapes, paired with endless recreational facilities (like championship golf courses and nature walks), exceptional service, and privacy that keeps the uninvited out. Hawaii’s luxury residential market is kept stable by interest from Asia and the US mainland, particularly an elite group of Chinese and their ever-increasing spending power, need to diversify their funds, and desire for the lifestyle that Hawaii alone could offer. Combine this sustained interest with discreet and astute real estate brokerage services, and those selling their Hawaii homes can fully count on obtaining the top value for their properties. 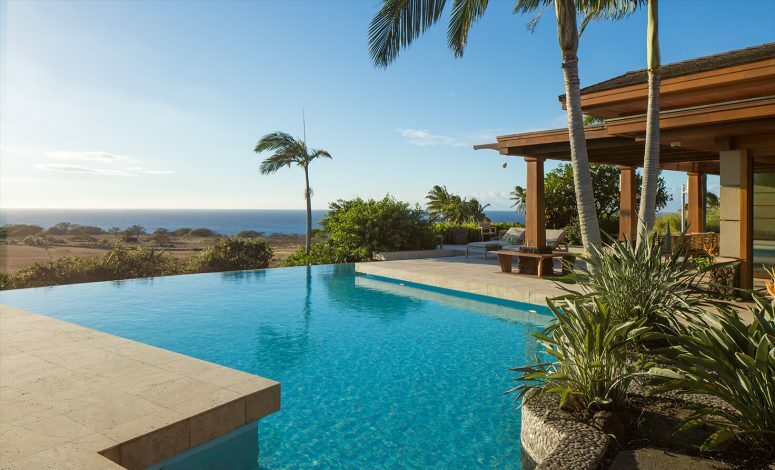 For those buying you get unparalleled assurance in the form of the largest and highest quality inventory available along with top-notch knowledge and understanding of living on the big island. These skills and abilities will help you find the right home that matches your lifestyle and personal needs. The right broker for the job not only can tailor his level of service to exceed expectations of both seller and buyer, but can also build the right level of mystique and understanding around an exclusive listing. Luxury Big Island by Harold Clarke is a choice broker who focuses on servicing affluent clients with delicacy and understanding.